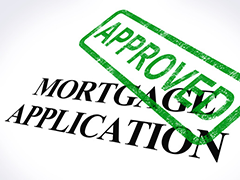 Please click here to find out what information you will need to get approved for a mortgage. Let TMC Home Loans walk you through the home buying process. c. Client Advantage – We are 100% focused on Home Mortgages. We know the guidelines, the approval process and what it takes to get from contract to closing. a. We have contacts set up with several different investors. c. So that gives us the flexibility we need to put each borrower with the right investor. d. Client Advantage – not locked in with only one choice. If we have to change investors, it’s a smooth process and usually no one even knows about it. More choices = less stress. i. Service – Underwriting turn times, common sense underwriting guidelines, account reps that we can contact and underwriters or underwriter assistants that we can talk to. ii. With 3 or 4 investors – we have every program that we need. iii.With 3 or 4 investors – we get to personally build relationships with the underwriters, closers and account reps. We get to know them but more importantly they get to know us, our borrowers and our area and they trust our work. e. Client Advantage – not every investor is comfortable with rural areas. But since they have seen our properties for over 10 years, our clients benefit from that relationship with these underwriters. Our clients benefit from our strong investor relationships. This is a definite advantage. c. 98% of all our contacts close on time or early. Are your borrowers really pre-approved or just pre-qualified? Pre-qualification – credit may or may not have been pulled and reviewed. Income and assets have not been verified. Basic borrower information has been obtained but not confirmed for underwriting process. Pre-approval – credit has been pulled and reviewed. Income has been documented through current paystubs and the last two years income tax returns. The file has been run through an automated underwriting process and an approval has been obtained. TMC Home Loans will NOT issue an approval without verifying credit and all income documentation. We also run every file through an automated underwriting process to verify the approval. TMC Home Loans has partnered with Genworth Mortgage Insurance on Job Loss Protection. Genworth Mortgage Insurance (MI) may help you make your mortgage payments if you lose your job. Job Loss Protection is an additional benefit that may make the mortgage payment if you become involuntarily unemployed. This does not cost you a penny. Job Loss Protection will help keep you secure in your home during tough times. This is an additional reason to get your home loan with TMC Home Loans.